The Redemptorists » Fall parish mission season has begun! It’s that time of year again — students are back in class, parish activities and other extracurricular events are in full-swing, and the Redemptorists are back on the road preaching parish missions! 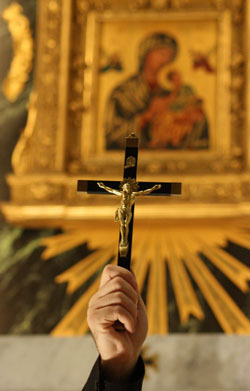 Check our calendar to see whether a Redemptorist mission is being held in your area. And please keep our missionaries and their host parishes in your prayers as we share the joyful message of God’s plentiful redemption!